On Saturday, October 14, 2017, the eighth annual Veuve Clicquot Polo Classic, Los Angeles returns to Will Rogers State Historic Park. 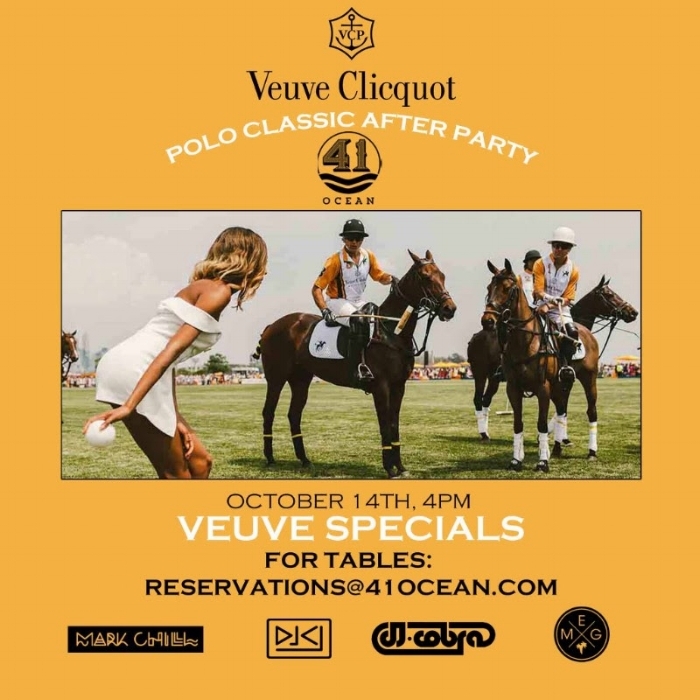 41 Ocean will be THE after-party destination featuring Veuve specials, a stacked lineup of LA's finest tastemakters including Cobra, DJ CJ, Lindsay Rose, and Mark Chill. For tables, contact reservations@41ocean.com or click below.